A rather classical shot from Burj Khalifa. 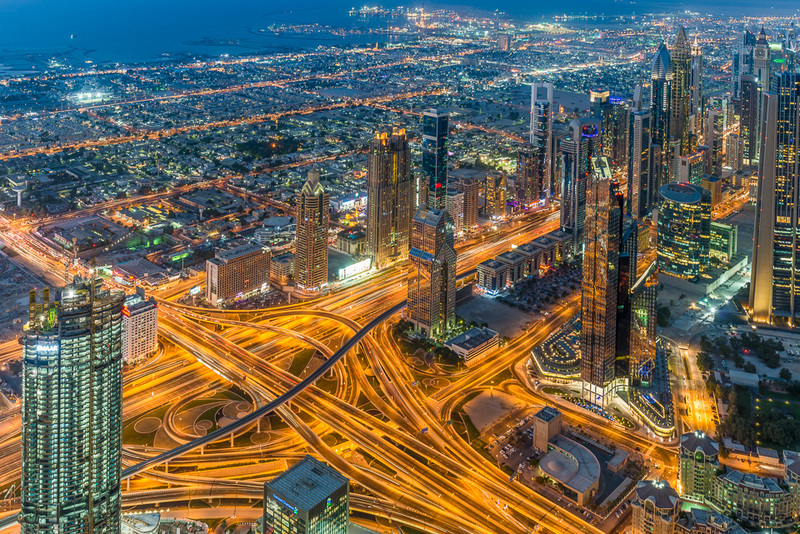 The road in the diagonal is the Sheikh Zayed road which is 8 lanes each direction. Note that the often quoted slots in Burj Khalifa are not wide enough for a lens with 77mm diameter. This shot was only possible after I removed the bayonet hood.